FROM TOP: Boise developer Tommy Ahlquist, Lt. Gov. Brad Little and Congressman Raúl Labrador. 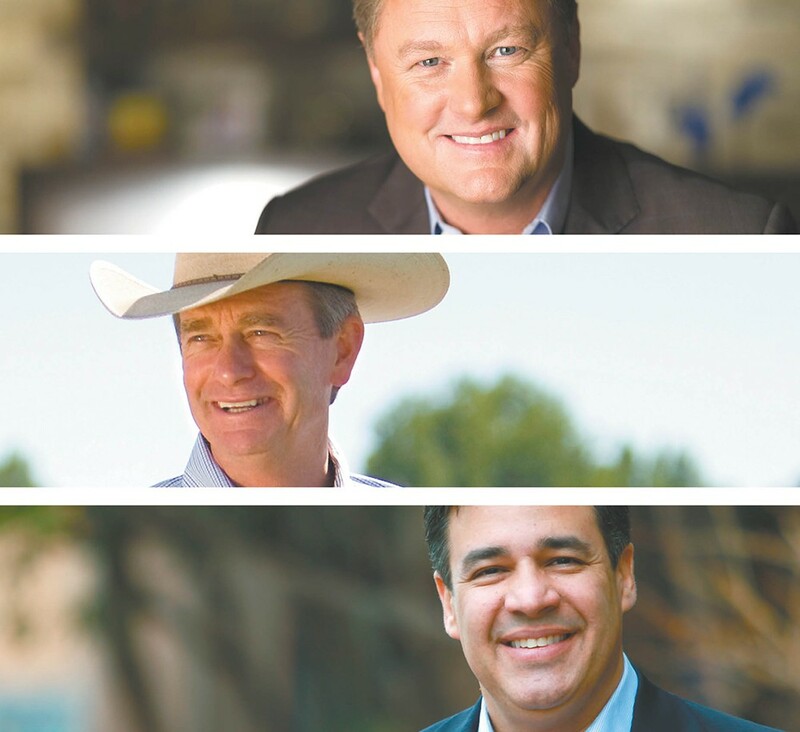 The race for Idaho governor is heating up as three Republican frontrunners try to differentiate themselves enough to win their party's nomination during the May 15 primary and set their sights on November. With current Republican Gov. C.L. "Butch" Otter not running for re-election, the wide-open contest has created a crowded Republican ticket with seven names, but three candidates lead in polls, spending and campaigning: political newcomer and Boise developer Tommy Ahlquist, four-term 1st District Congressman Raúl Labrador, and Lt. Gov. Brad Little, who also served in the state Senate. "This is an incredibly tight primary race, which is very unusual for Idaho," says David Adler, a constitutional scholar and president of the Idaho Falls-based Alturas Institute, a nonpartisan nonprofit dedicated to civic education. "The three-way race, I think, represents a free-for-all as three candidates compete for the very few people who will turn out to participate in the primary." While Otter and Little share a fair amount of support in the state, Adler says there are cracks in the Republican establishment and the Otter/Little brand is fading. Indeed, while the lieutenant governor might have entered as the frontrunner, he faces a tight race with Ahlquist and Labrador. The contest to replace Gov. C.L. "Butch" Otter has drawn a crowded field of Republican candidates. For their part, Labrador and Little appeal to a very similar base, though Labrador (co-founder of the House Freedom Caucus) skews farther right, Adler says. 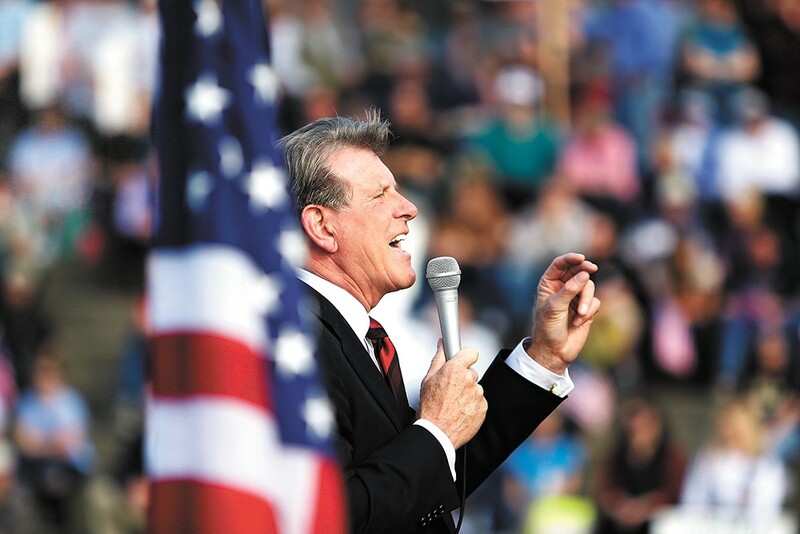 Little comes from a long-time Idaho ranching family and served in the Idaho Senate for about eight years before getting appointed lieutenant governor in 2009. Labrador, who grew up in Puerto Rico, moved to Nevada as a teen and later worked as an immigration attorney and served in the Idaho House before representing Idaho in Congress. Ahlquist, on the other hand, has no political experience. He was an emergency room doctor for almost 20 years, and has a large base of support in Boise, where he's developed much of his commercial property, including the Zions Bank building, the tallest in the state. But there are more similarities between the candidates than differences, Adler says, and nothing shows how close the race is more than the negative ads the campaigns have been airing on television, radio and in print. "The fact it has become personal, with them accusing each other of being liars and demagogues, reveals that the three of them understand this is a very close race," Adler says. "It seems to me the question is: Where are the fault lines within the Republican Party that suggest any one of the candidates can win?" One area where the three have differed is Medicaid. All three say that health care and health insurance has gotten too expensive under the Affordable Care Act (ACA, also known as Obamacare), but their approaches to reforming the system would be different. Labrador wants to overturn the ACA, and has said he doesn't support Medicaid expansion, which would help insure more than 60,000 Idahoans who don't qualify for subsidized health care right now. He recently told the Spokesman-Review that even if a voter-led initiative to expand Medicaid makes it on the November ballot, which appears likely, he might work to overturn it if passed. Little, on the other hand, said during a televised debate, "I will adhere to the will of the voters." The difference seems noteworthy to Adler. Little was involved in a recent move by Otter to try to allow Idaho insurers to sell health plans that don't adhere to rules set out in the ACA, which is of questionable legality. "Brad Little, who has for a number of weeks been moving to the right, both to gather supporters and protect himself against accusations he's not conservative enough, has now tacked more toward the middle, to support the will of the people,"Adler says. During the same debate, which aired on Idaho Public Television April 24, Ahlquist said the health care system as a whole needs to be overhauled to provide affordable care to patients. "Expanding Medicaid, more federal dollars into a system that has an appetite that will never be satiated, is not what we should be talking about," Ahlquist said. All three have vowed to slash costs at the state level, though their methods differ. All support exempting grocery sales from the state's 6 percent sales tax, a move state lawmakers have tried to make, but Otter has vetoed. Ahlquist plans to cut $100 million in state spending in his first 100 days and has supported dropping the personal income tax from 7.4 percent to 5 percent. Little would also like to cut personal income tax and reduce state spending by more than $100 million a year when revenues are up, so long as education funding is maintained at an appropriate level. Labrador wants to cut the state sales, personal and corporate income taxes to 5 percent a piece in his "5-5-5 plan," which would slash about $1 billion in taxes that he would plan to replace by closing the same amount from an estimated $3 billion in tax loopholes. The campaign ads have turned nasty, and Ahlquist and his supporters have been leading the way in spending, buying more than $2 million on TV ads to attack both Little and Labrador, according to tallies reported in Washington and Idaho papers. The ads paint Little and Labrador as establishment politicians and set Ahlquist up as a "breath of fresh air," Adler says. Some ads accuse Labrador of not doing enough in Congress, and others attack Little for taking per diems for a second residence he maintains in the capital. Meanwhile, groups backing Labrador and Little are hitting back with ads claiming Ahlquist is a flip-flopper and criticizing him for supporting Democrats (though he's donated more to Republicans). One ad bought by a Labrador-supporting PAC calls Little and Ahlquist "snakes." "Unfortunately, negative advertising works," Adler says. "For all the times voters say they don't like negative ads, the reason candidates continue to do that here and across the country is that they are effective." And it's a rule in campaign politics that if you're hit, you have to hit back hard, Adler says, or risk appearing weak. That divisiveness could lead to a higher than normal primary turnout. As all three have leaned farther right in advance of the primary, they've set themselves up to defend some deeply conservative viewpoints come November, Adler says. 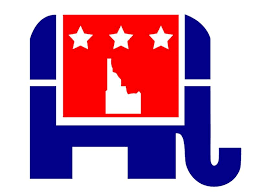 For the Republican primary, Idaho voters must register as party affiliates (Democrats left their primary open to anyone), and it's expected all three candidates' supporters will make a strong showing. But some Democrats may also "cross over" to have a say in which of the three Republican candidates moves on to November, Adler says. For some, that may be what they see as their best shot at making a difference in Idaho. "I think it's significant, and if they are, they're probably going for Little or Ahlquist," Adler says. "In a close election, it could make a difference to decide who gets to 34 percent." The original print version of this article was headlined "'Free-for-All'"